Until now, there have really only been two enforcement points for security controls at our disposal: in the OS, and the Network. Each has their strengths and weaknesses. VMware NSX changes our options by opening up a new frontier for security, and the unique capabilities only a virtualized environment can offer. In this video we explore how VMware NSX provides load balancing services with the Edge Services Gateway, how the ESG can be leveraged to provide services on demand, and allow you to pursue the DevOPs model with NSX. Additionally, we will take a look at a Tech Preview feature of NSX, the Distributed Load Balancer, why it matters, and what it means for you. In this video we explore the feature set of the VMware NSX Edge Services Gateway, provide a topology example, and discuss how you can use the ESG in different ways to bring L3-L7 services into you cloud. The VMware NSX Edge Services Gateway (ESG) is a virtual machine appliance which functions as a gateway and services appliance within the NSX platform. 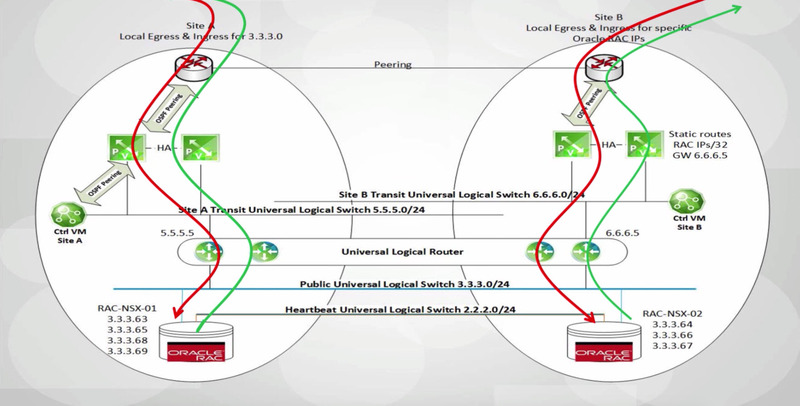 This video focuses on the routing capabilities of the ESG, as well as its interactions with the NSX Distributed Logical Router (DLR). The ESG is commonly used as a routing gateway at the boundary of an NSX environment, also known as a North – South gateway. Like the DLR, the ESG supports dynamic routing protocols in OSPF and BGP, as well as route redistribution. To provide additional architectural flexibility, up to 8 ESGs may peer with a single DLR in an Equal Cost Multi-Path (ECMP) configuration in order to maximize available bandwidth. 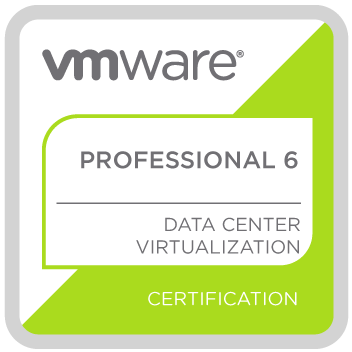 The Distributed Logical Router (DLR) in the VMware NSX platform provides an optimized and scalable way of handling East – West traffic within a data center. East – West traffic is the communication between workloads residing within the same data center, which is only increasing in modern data centers. In order to route between segments, traffic must be forwarded to a routing device, rather than directly to its destination. This non-optimal traffic flow is generally referred to as “hair pinning”. Not all virtual networks are going to be connected to the physical world in the same way; some VXLAN logical switches may need to be directly layer 2 adjacent to an existing VLAN backed network, or need to reach a gateway or service interface that resides on a physically defined VLAN. These are some reasons VLAN to VXLAN bridge(s) may need to be implemented within VMware NSX. This is most common in the case of a migration effort to, or if a layer 2 domain containing workloads attached to both VXLAN and VLAN backed networks required. 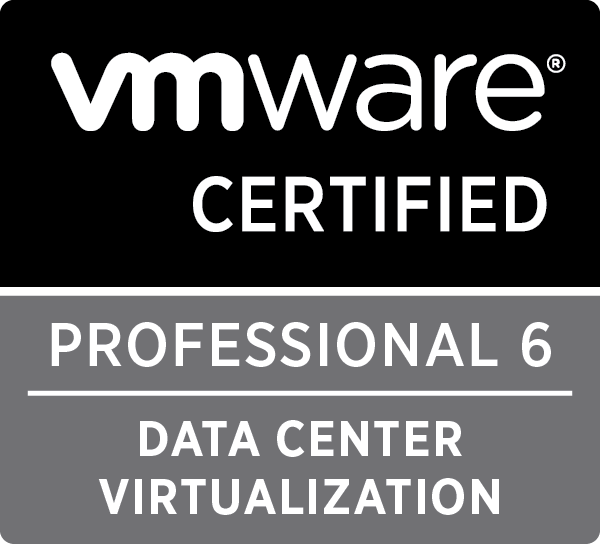 The VMware NSX Distributed Firewall is unique in the market for its ability to operate at the vNIC level, in kernel in the hypervisor – giving you control you’ve never had before. Why virtualized environments will ultimately incorporate network virtualization; why networking and security go hand in hand; and how organizations can get started TODAY on the journey with security components. Our team has been working on building solutions for NSX with Business Critical Applications around Zero trust security, application mobility, operational efficiency, increased security and more . In this blog post we are showcasing the ability to stretch an Oracle RAC solution in an Extended Oracle RAC deployment between multi-datacenter and using VMware NSX for L2 Adjacency. With Extended Oracle RAC , both Storage and Network virtualization needs to be deployed to provided high availability, workload Mobility, workload balancing and effective Site Maintenance between sites. NSX supports multi-datacenter deployments to allow L2 adjacency in software, to put it in simple words stretching the network to allow VM too utilize the same subnets in multiple sites. The really cool thing here is that this is 100% implemented in software and can be easily augmented and replicated to your needs. You can even choose multiple implementation paths and configurations and apply all of them at the same time with minimal dependency to the physical infrastructure and it configuration. After all, this is virtual! For Disaster Recovery – where we deploy NSX to support a failover scenario where one site is mainly active for a workload and in case of site failure we flip a switch to support the networking from the secondary site. In both cases a workload and its networking is either communicating from one site’s physical infrastructure or the other and when active from one site (the primary) it will traverse from that site’s physical infrastructure to the secondary site if needed. You can see in the diagram below that Site A is the primary and therefore Site B utilizes Site A’s physical routers for ingress and egress communication. Oracle RAC, requires active networking from each respective site. It requires all nodes to have IPs on the same segment and if the nodes are placed in multiple sites , we then need to setup a solution to allow the same segment in both datacenters. In the diagram below taken from the demo video, you can see the two sites and that each RAC node has “Optimized ingress” and “Locale egress” networking configuration in the respective site’s physical infrastructure and no site is considered “Primary”. One of the interesting challenges with this implementation was regarding the Oracle RAC SCAN IP’s. SCAN (Single Client Access Name) IP’s are IP’s assigned to ann Oracle RAC implementation which is used for client side load balancing between the cluster instances..
SCAN IP’s can comprise of a max of 3 IP’s configured in the DNS and they can come up on any node in the cluster in each one of the sites randomly. To solve that problem , we created vRO workflows that can detect a VM coming up on site B and going down and run a workflow that can either add or remove a /32 static route from that sites edge device to support the movement of Vms or in our case the SCAN IPs. Disclaimer, this solution can and will be improved from a scalability perspective, in particular automating route injection, from a performance and availability it is production ready. Also, Route injection is not the only way to go about this, one can solve the challenge of moving IPs through other means or even from the presentation layer. This is a demo of a solution we created for Oracle RAC stretched across sites and using VMware NSX to stretch the L2 network. As always any comments or questions are welcome.